Citrus, grape and avocado importer and distributor LGS Specialty Sales (LGS) is expanding its Spanish imports to include lemons, clementines, and Vanilla persimmons, also known as Rojo Brillante. This expanded line of citrus from Spain reflects a continued investment in a region that the company said it values for impeccable fruit quality, food safety standards, and well-developed infrastructure for increased supply to the US market during domestic off-season. “Spain’s Mediterranean climate consistently grows exceptional fruit and we are excited to export more of their products to provide the US market with top quality produce year round,” said Rebekah McMurrain, persimmons category manager at LGS. LGS’ fruits are grown in Valencia and Murcia. The persimmons are produced in the same area as the company’s Spanish clementines, both of which are known by consumers for their exceptional sweetness. The company also imports Spain’s lemons to provide the US with a year round supply and give retailers expanded options during months with limited domestic citrus availability. “Interest in exotic fruits continues to be a growing market among consumers and we are proud to offer unique fruits from around the world to meet the expanding taste buds of US shoppers,” said McMurrain. 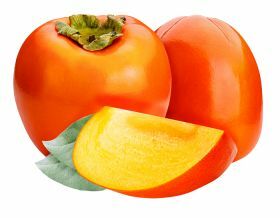 Available now through February, the Vanilla persimmon is a hybrid of the two most common persimmon varieties –the Hachiya and Fuyu. This special varietal is acorn shaped like the Hachiya variety, but is ready to eat like the Fuyu. Speckles throughout the fruit are a mark of the varieties high natural sweetness and make it popular among shoppers.